Washington still has an opportunity to carefully improve U.S.-Russia relations and regain a more stable relationship in the near term, but only if activities and initiatives are based on a firm and frank appreciation of each other’s core interests, including those of their allies and partners. In a dual-track approach, the United States and its allies must continue to work closely to deter any destabilizing Russian behavior ranging from corrosive gray zone disinformation activities—including malign cyber efforts to erode Western democracies—up to full and overt military aggression. Simultaneously, rebuilding atrophied conduits between key American and Russian political and military leadership is imperative in order to calm today’s distrustful and increasingly mean-spirited relations, to seek and positively act upon converging interests, and to avert potential incidents or accidents that could potentially lead to dangerous brinksmanship. 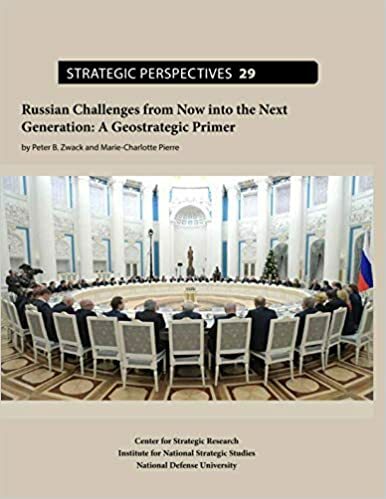 Notably the July 2018 Trump-Putin summit failed to bring any positive developments to the U.S.-Russia relationship; however, pragmatic efforts to bridge major and increasingly dangerous divides must continue. Perhaps most notable during the summit was the emphasis made by both sides that the weakened arms control regimen and overall strategic stability be addressed to stop a dangerous drift toward renewed nuclear weapons development and competition. Yet in recent months, the relationship has only continued to weaken on multiple fronts too numerous to summarize, including Russian actions against Ukraine in the Sea of Azov and the end of the 31-year Intermediate Nuclear Weapons Treaty signed in 1987 by Soviet Premier Mikhail Gorbachev and President Ronald Reagan.